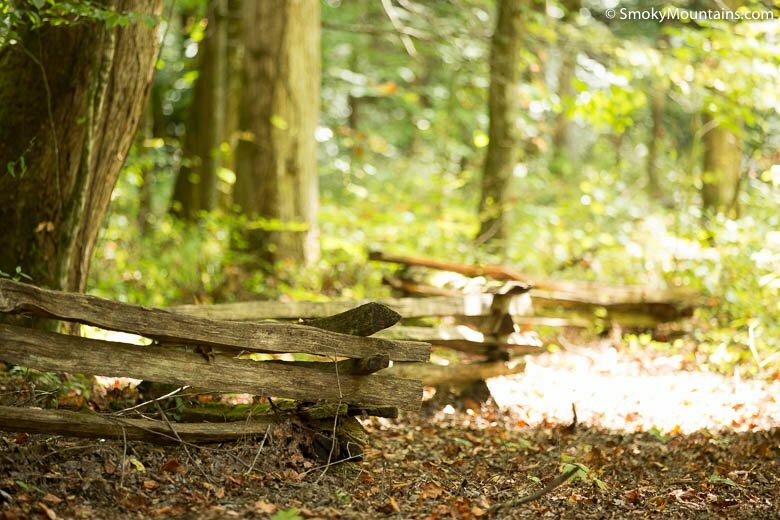 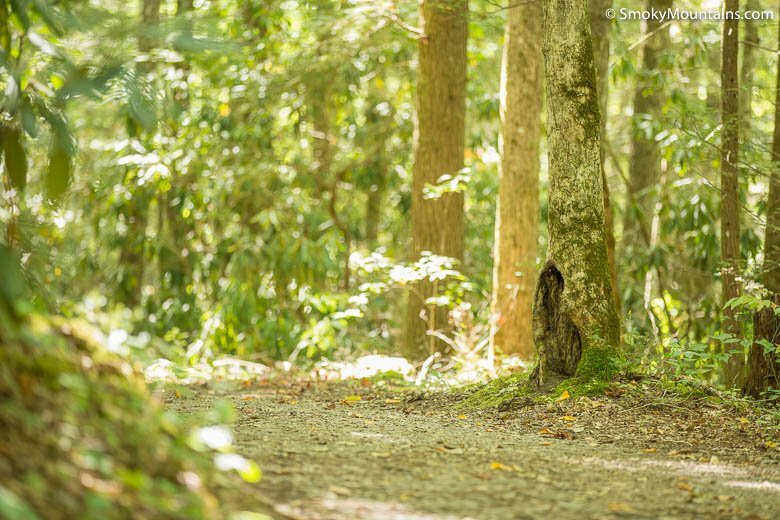 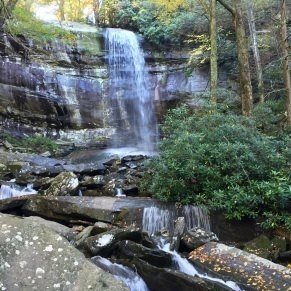 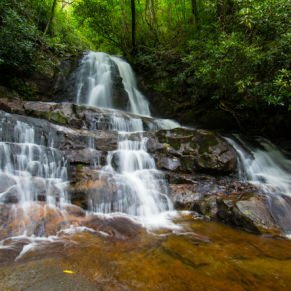 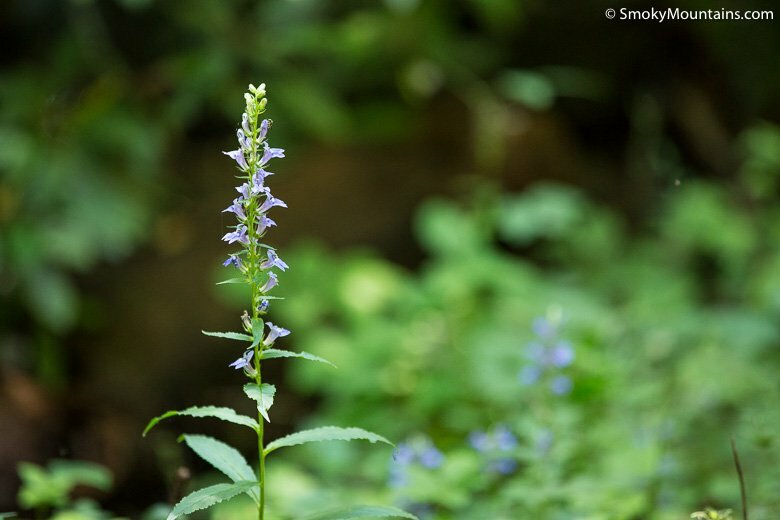 The 2.6 mile roundtrip Little Brier Gap Trail hike, which is located in Metcalf Bottoms, is an easy trail that features historical buildings, occasional wildlife, and seasonal wildflowers. 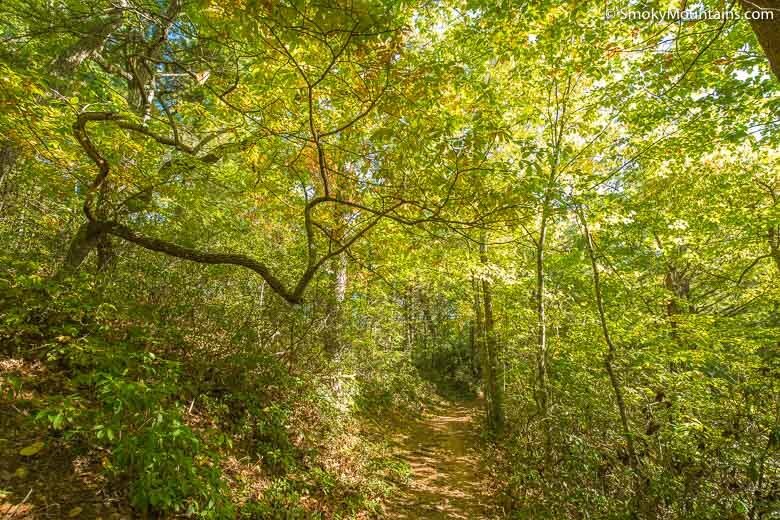 The relatively short distance combined with minimal elevation gain makes this a great option for novice hikers, but the trail does not have mountain views. 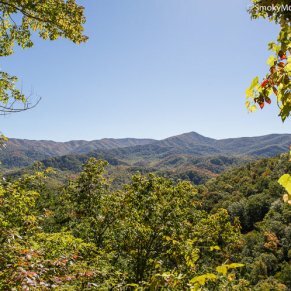 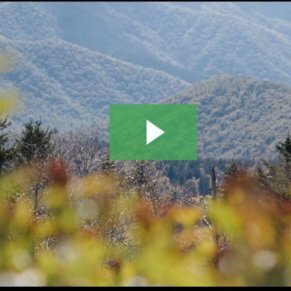 Renowned for their spectacular biodiversity, old-growth forests, and some of the highest and roughest country in the Southern Appalachians, the Great Smoky Mountains are also an absolutely fascinating destination for the historically minded. 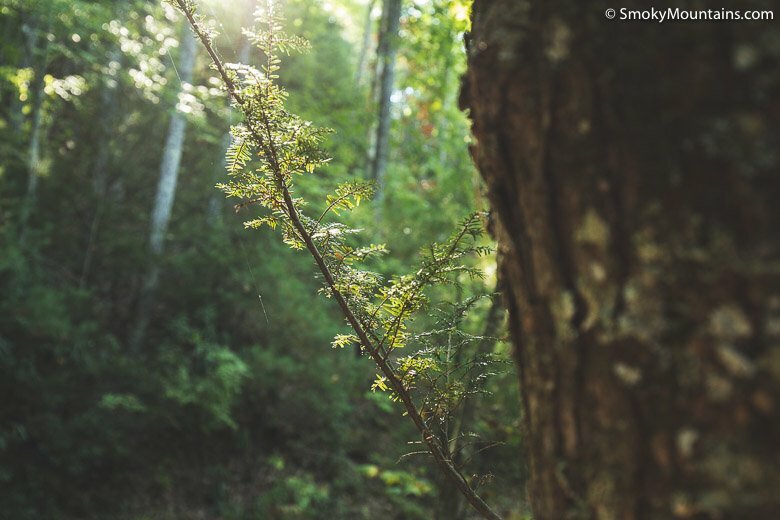 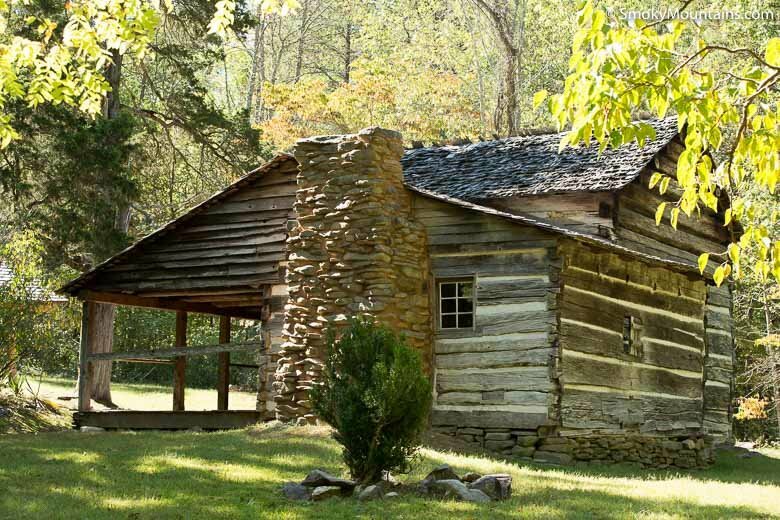 Besides its deep American Indian roots, Great Smoky Mountains National Park boasts rich heritage as the hardscrabble homeland of Euro-American settlers: an era that persisted right up to the establishment of the park in 1940. 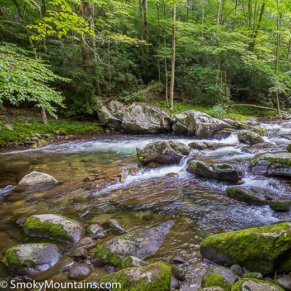 You can get a firsthand sense for that heritage in numerous places in the park, one of the standouts being the cove along Little Brier Branch above Metcalf Bottoms. 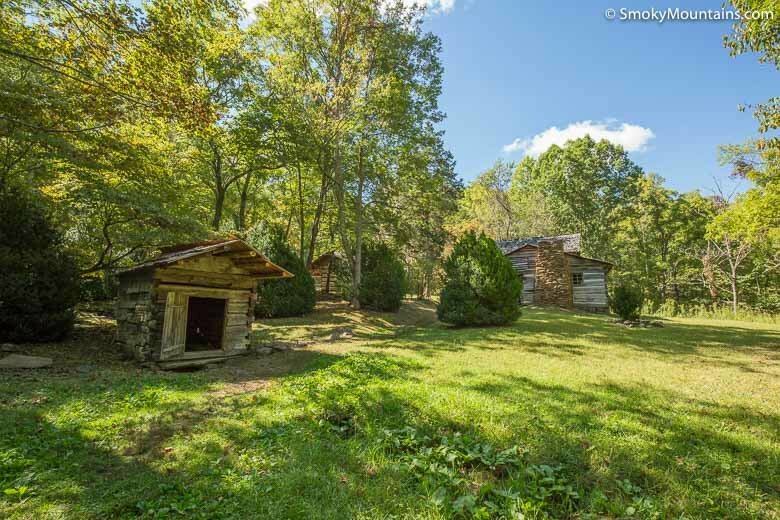 The short and easy Little Brier Gap Trail, 2.6 miles roundtrip, reveals some of the most striking historical buildings in the national park—well worth a visit! 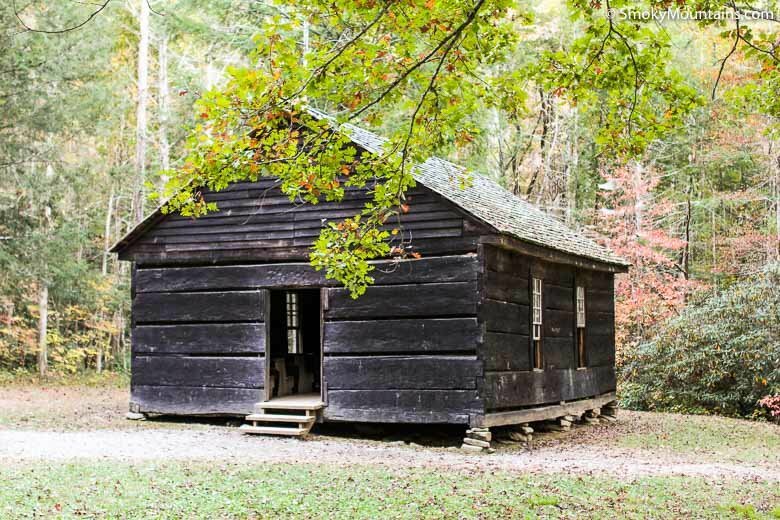 The Little Greenbrier Schoolhouse at the trailhead is one of Great Smoky Mountains National Park’s most significant historic buildings, a relic of the once-thriving mountain hamlet of Little Greenbrier that arose in the mid-19th century. 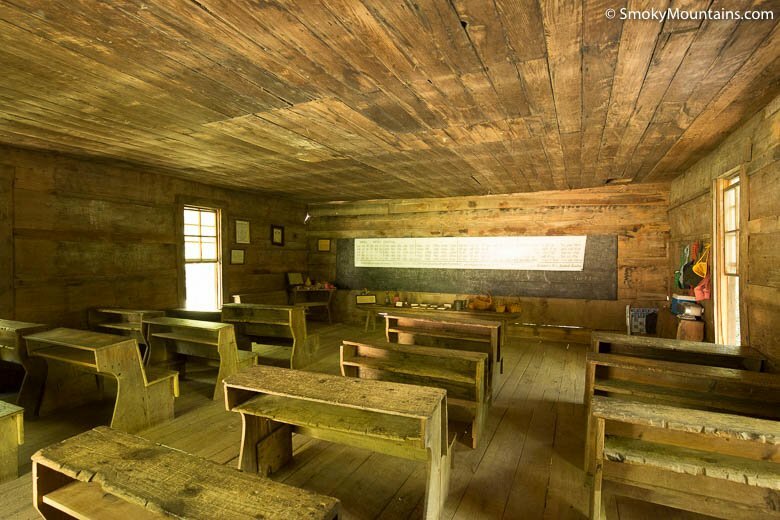 The schoolhouse, built in 1882 and listed on the National Register of Historic Places, was not just an educational hub for the community but also a spiritual one: It doubled as a Baptist church, hence the adjacent cemetery. 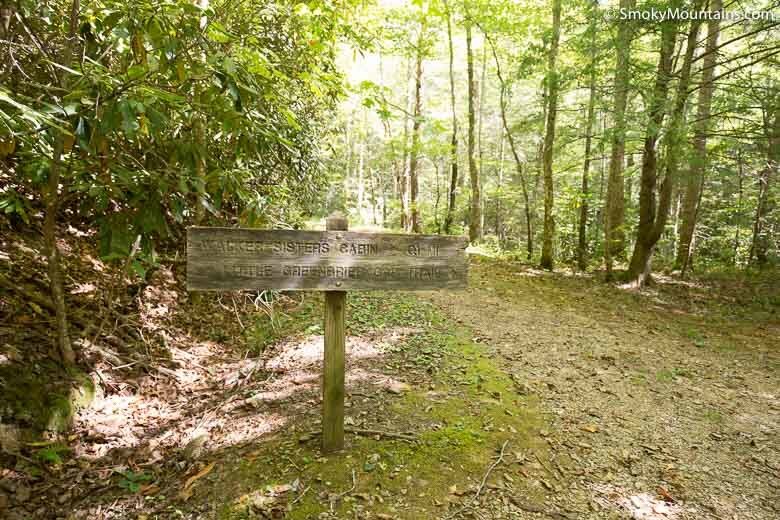 A gated road above the Little Greenbrier Schoolhouse marks the start of the Little Brier Gap Trail, a long-used trace shadowing the Little Brier Branch that drops off Cove Mountain in its pretty hollow. 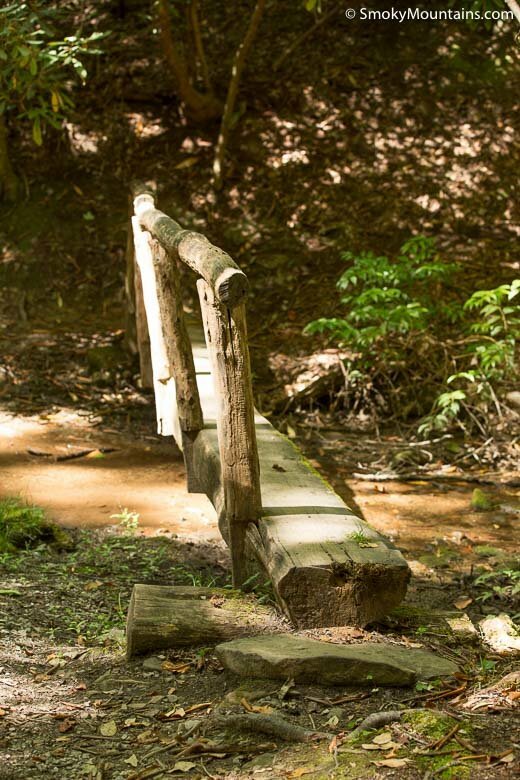 In about a half-mile or so from the trailhead, the path crosses the Little Brier Branch via a loghewn footbridge. 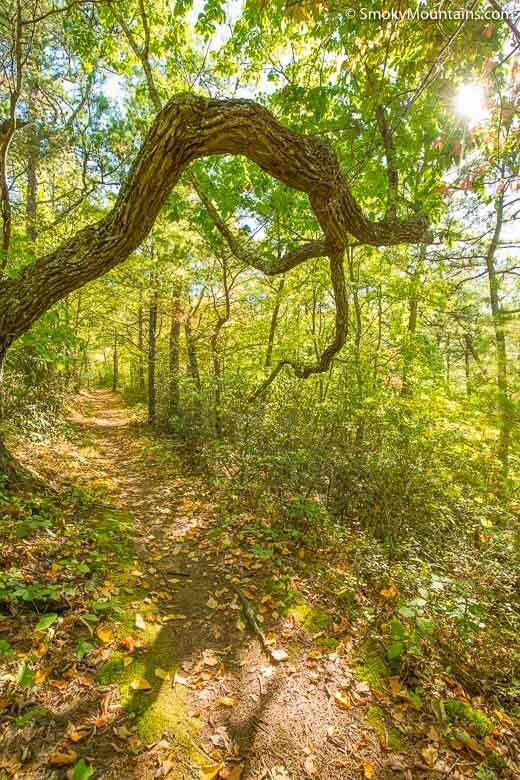 Just a little more than a mile from the schoolhouse, a spur path branches off the Little Brier Gap Trail. 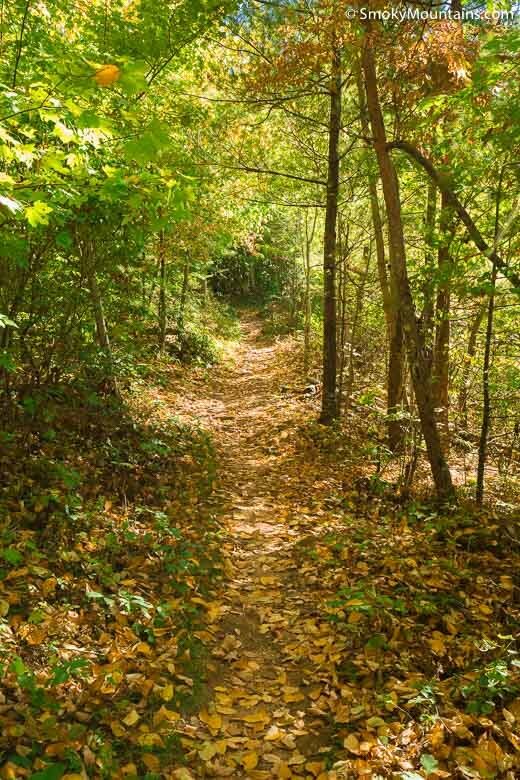 This leads to the highlight of the trail: the Walker Sisters Place in Five Sisters Cove. 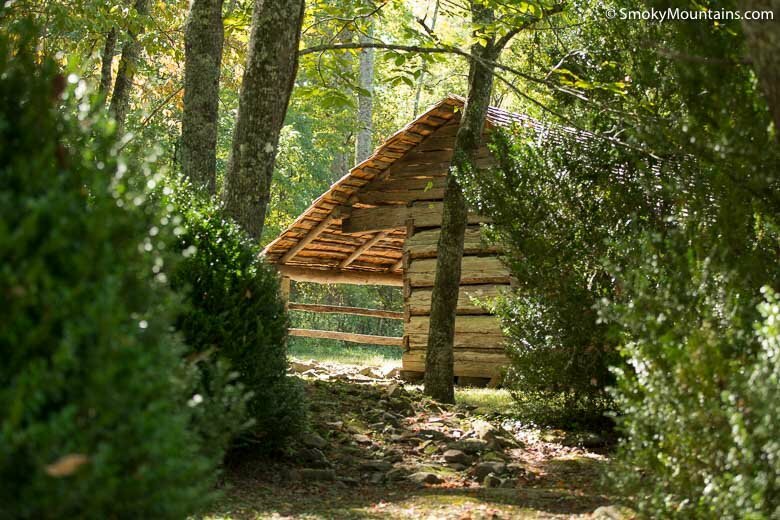 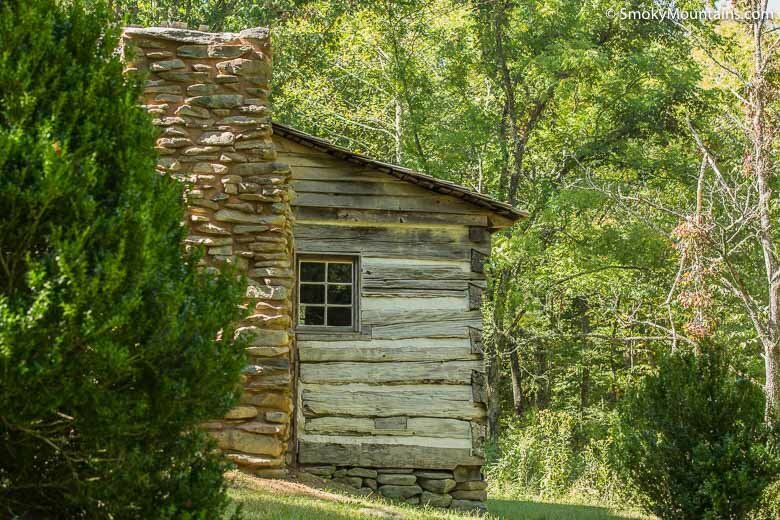 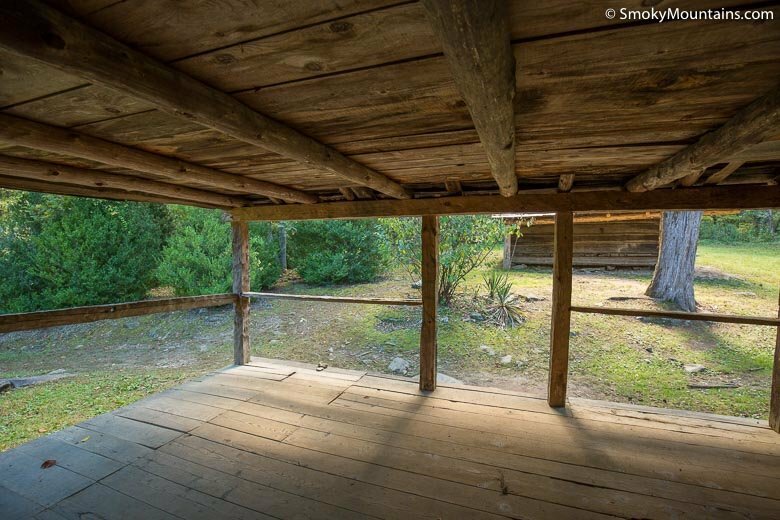 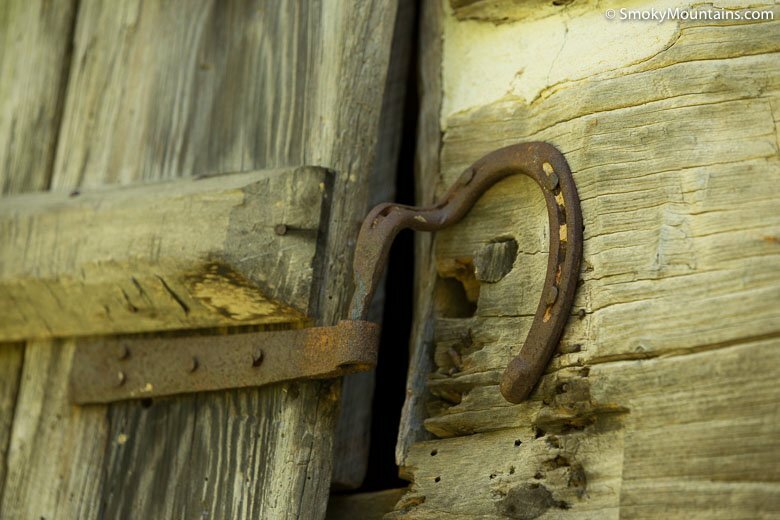 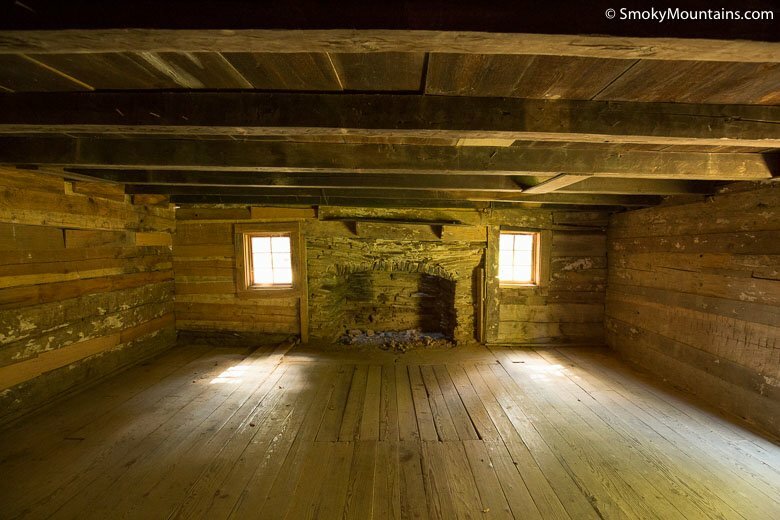 The vintage log cabin, corncrib, and springhouse mark the farmstead of—as you may have guessed by now—the five “spinster” Walker sisters, who gained renown as Great Smoky Mountains National Park became platted out in the 1930s. 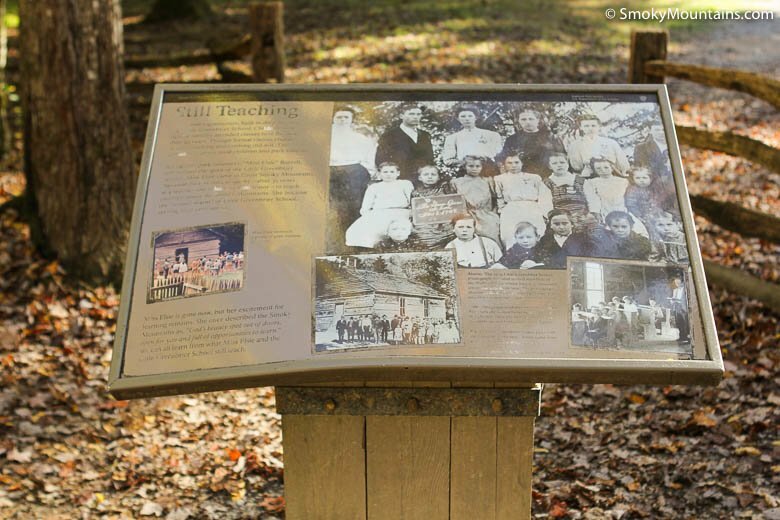 Staunch traditionalists, the sisters resisted leaving their cove even as the park boundaries came to envelop it. 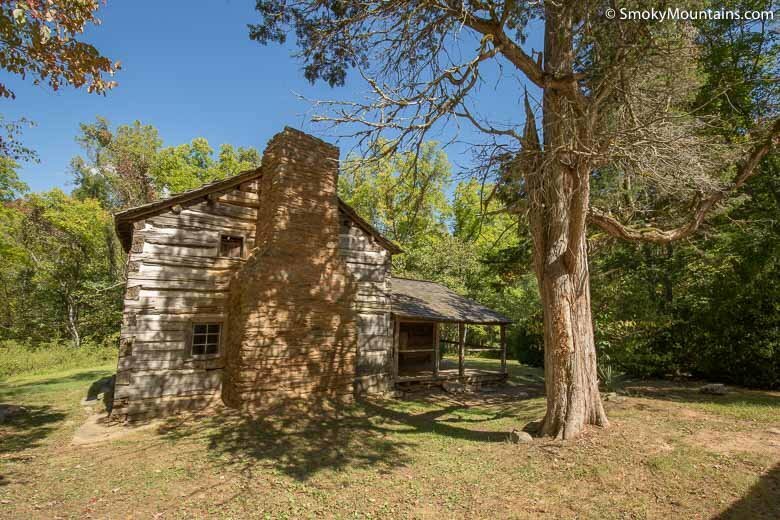 In 1940, they finally came to an agreement with the federal government: They’d sell their property, but would remain in residence there on a lifelong lease. 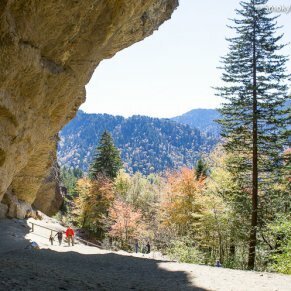 The Walker sisters—who’d long been well known among the regional mountain residents—became celebrities of sorts through a 1947 article in the Saturday Evening Post, and more than a few park visitors called upon them in their backwoods spread and purchased souvenirs from them. 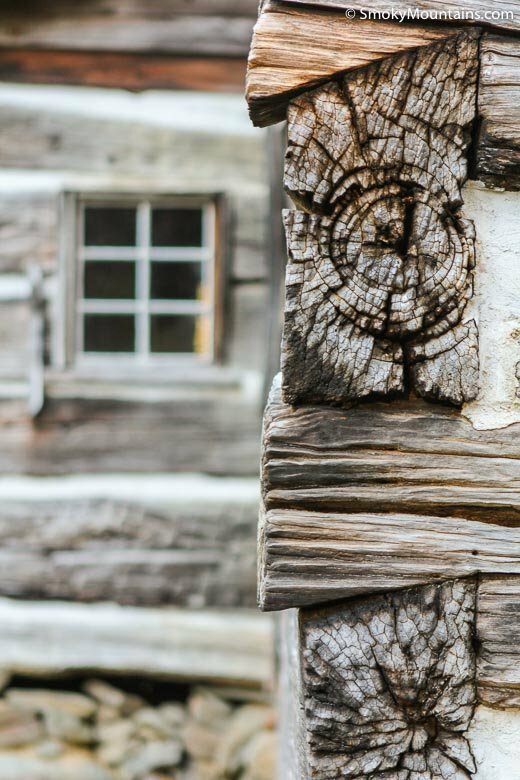 The last sister died in 1964, but the farmstead’s structures remain as tribute to their isolated abode and all-around tenacity. 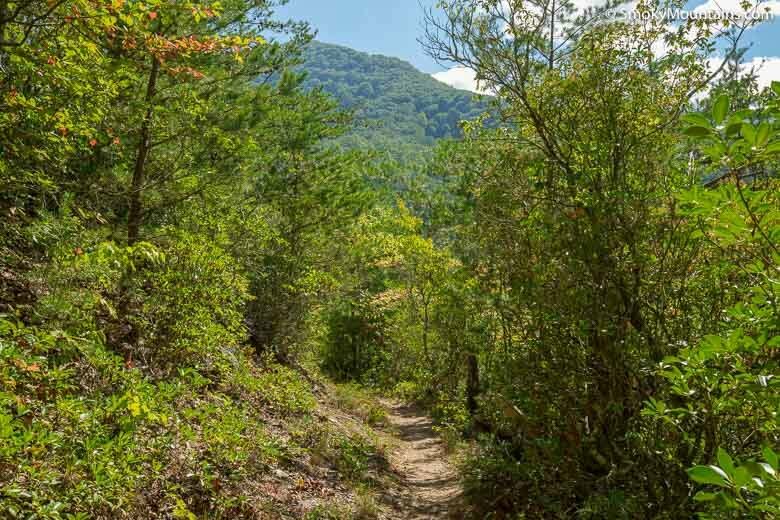 Many turn around at the Walker Sisters Place, but back on the main trail you can continue up a steepening way through some lovely hardwood stands to Little Brier Gap, about a third of a mile beyond the Walker turnoff. 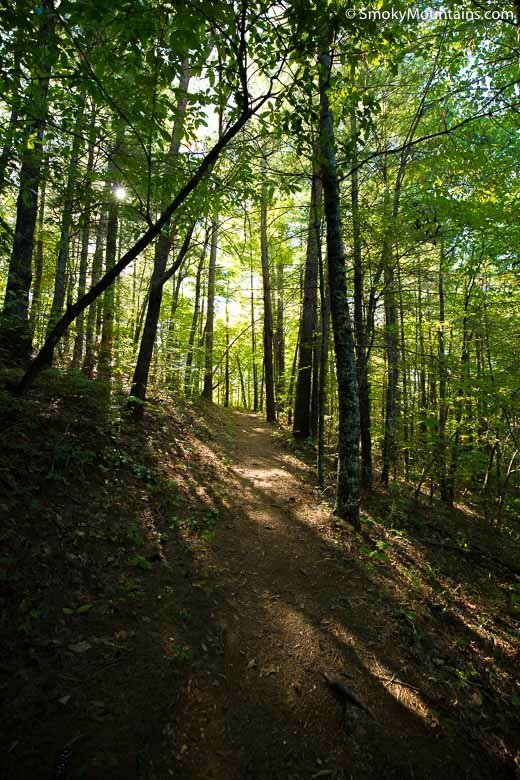 The Little Brier Gap trail ends at the Little Greenbrier Trail: a turnaround point or a junction for further exploration. 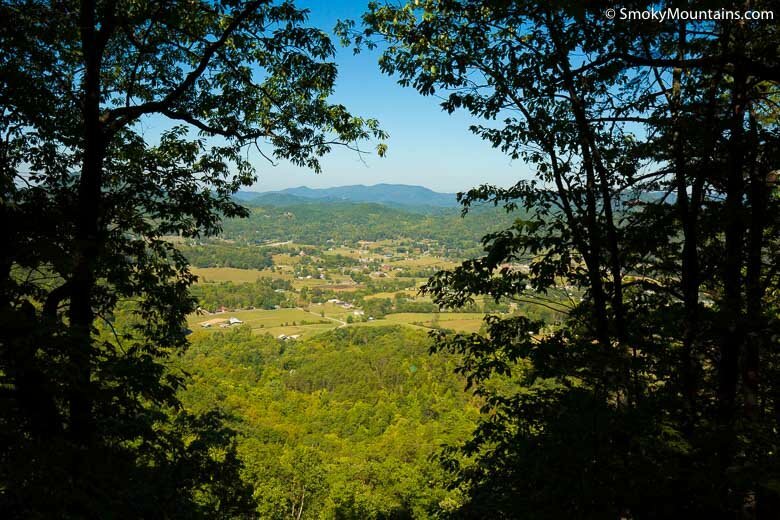 The Little Brier Gap Trail starts above the Little Greenbrier Schoolhouse. 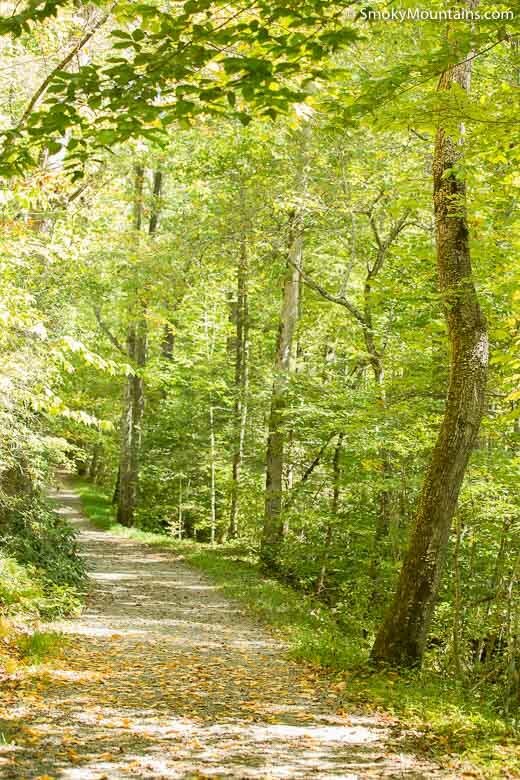 From spring through autumn, you can reach this trailhead by car via Little Greenbrier Road branching off Wear Cove Gap Road, which is reachable from Wear Cove in the north via Lyon Springs Road (about 3 miles) or from Sugarlands Visitor Center to the east via Fighting Creek Gap Road and Little River Gorge Road to Metcalf Bottoms (about 10.5 miles). 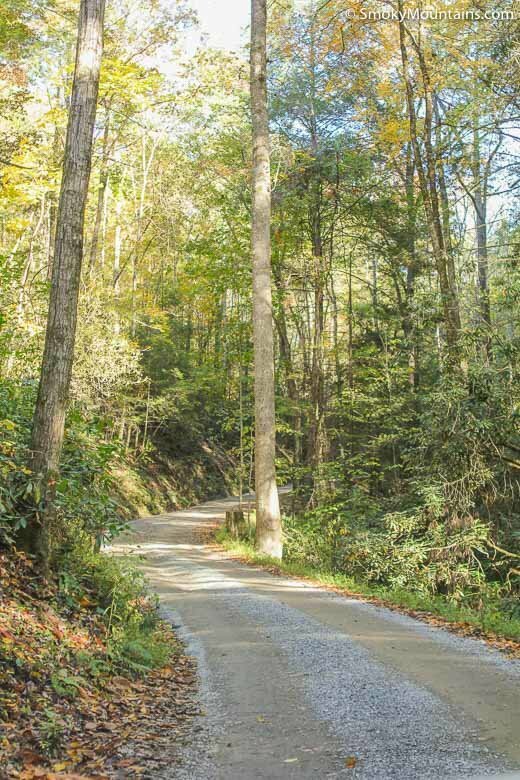 Little Greenbrier Road is closed during winter months. 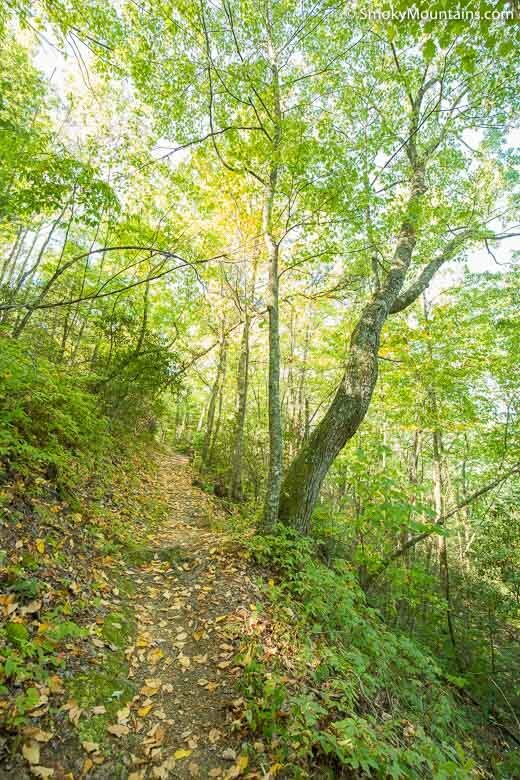 To reach the Little Brier Gap Trail then, you can either park along Wear Cove Gap Road and walk up the gravel track, or hike to the schoolhouse via the Metcalf Bottoms Trail, which hugs Little Brier Branch. 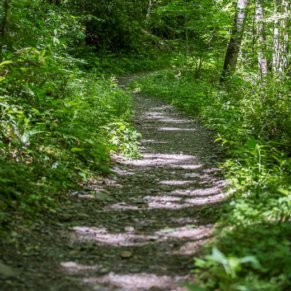 -Besides commencing from the Little Greenbrier Schoolhouse, you can also reach the Little Brier Gap Trail via the Little Greenbrier Trail (are you confused about all the “littles” and “briers” yet? 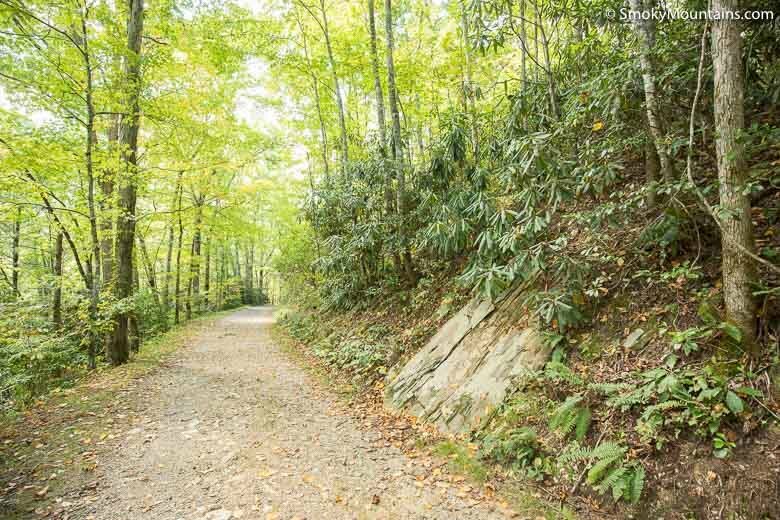 ), the western trailhead for which lies along Wear Cove Gap Road near the northern boundary of Great Smoky Mountains National Park south of Wears Valley. 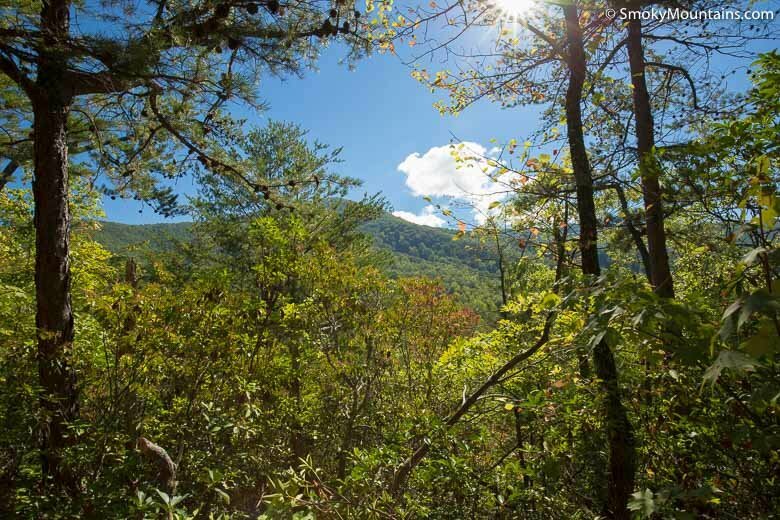 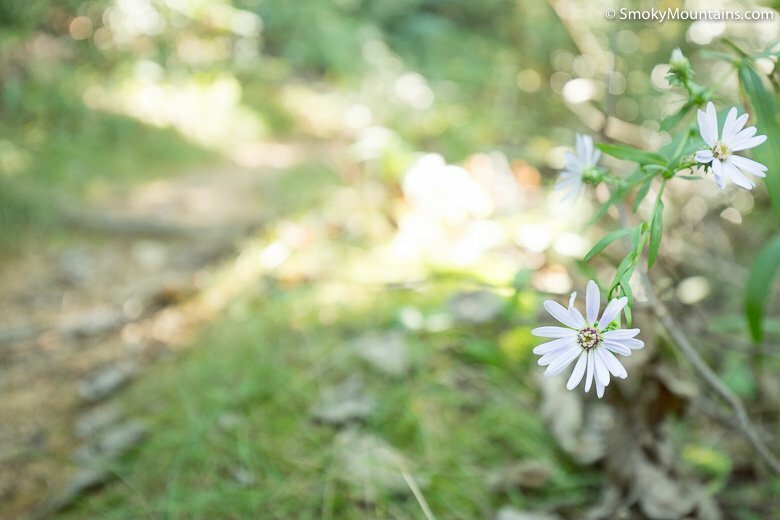 -Along with its timeworn buildings, the Little Brier Gap Trail serves up plentiful spring wildflowers and the occasional glimpse of a black bear.